The military buildings of today are relatively bland and plain, but in centuries past military architecture was something to be admired. Military forts, whether they were stand-alone installations or incorporated towns within their walls, had to be tough enough to stand up to attacks and well-designed enough to effectively return fire when required. 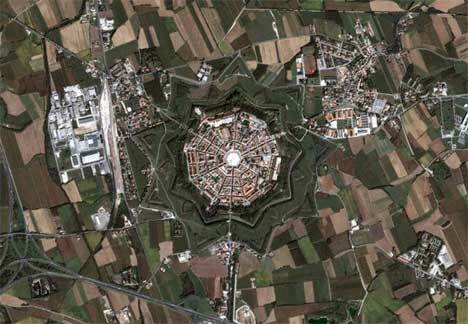 Star-shaped forts were a particularly interesting type of fortification. They first appeared around the time that gunpowder became commonly used in warfare; the unusual shape of the forts and the fact that they were made of hard-to-shatter brick (rather than the traditional stone) helped the forts stand up to cannonball fire. These incredible structures are among the most memorable, the most beautiful, and the most historically important star forts from around the world. This positively gorgeous star-shaped fort and its associated village is Bourtange, a Dutch fortification built in the 16th century during the Eighty Years’ War. The fort was decommissioned at one point in 1851, after which the area became a normal town, but a century later the fort was restored to encourage tourists to visit the area. While the fort itself is now a popular museum, the village continues to hold a constant population. On the grounds of what is now Pittsburgh, Pennsylvania, once sat Fort Pitt. 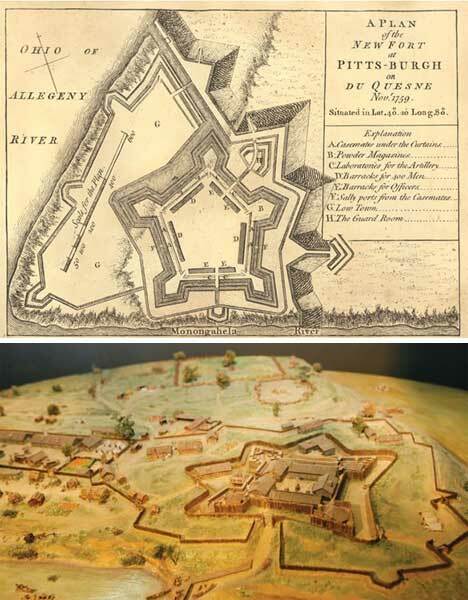 Constructed in the midst of the French and Indian war, the star-shaped fort became an important part of the conflict. Not much remains today of Fort Pitt – only one solitary building – but the unique shape of the former military stronghold is commemorated in the above scale model still on display in the Fort Pitt Museum. 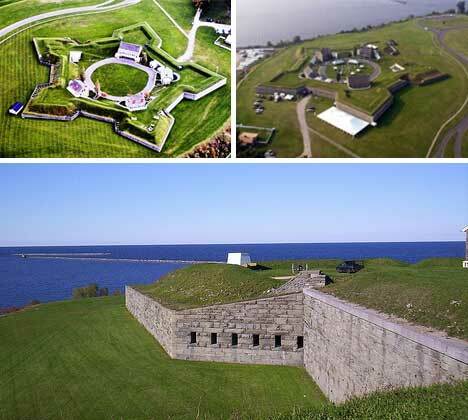 Fort McHenry is arguably one of the most important military bases in US history. During the War of 1812, British soldiers bombarded the fort for 25 hours, but American soldiers bravely held them off. The fort’s valiant defense inspired Francis Scott Key to pen the poem that would later become the country’s national anthem. Today, the very flag that Key saw that night is still on display inside the building, which has long been established as an historical monument. The impressive star-shaped fort at Almeida, Portugal was built to defend the area against the French invasion during the Peninsular War in the early 19th century. In 1810 it was under brutal siege by the French general Massena, during which a careless soldier allowed the entire munitions store to explode, destroying the medieval castle that was once part of the town. The town wall and most of the remaining military buildings have been very well maintained and today are still a fantastic tourist destination for people who love architecture, military history and fascinating places. Nestled in the lush green landscape of County Cork, Ireland is Charles Fort. 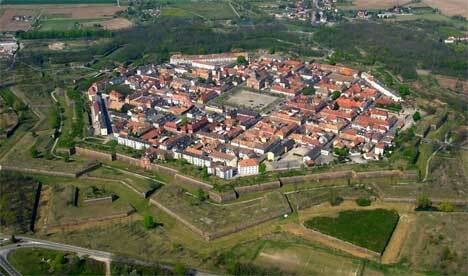 Built in the late 17th century, it’s a wonderful example of the star-shaped forts characteristic of that time. The fort has a long and impressive military history, and it’s been involved in some of Ireland’s most important historical events. Despite being so important to Ireland’s history and in constant use for several hundred years, it was only granted national landmark status in the 1970s. The star-shaped Fort Cumberland on England’s southern coast is widely regarded as one of the most shining examples of this type of fort in the United Kingdom. It was the last fort with bastions to be built in the UK, and it was in use as a military structure until well into the 20th century. It’s possible to tour the structure currently, but only by pre-booked appointment. Palmanova, in northeastern Italy, was founded on October 7, 1593. 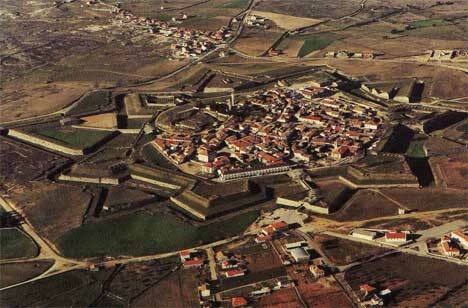 The fortress was the state of the art when it was built, and it was the 16th century equivalent of a planned community. The commune was originally meant to guard against attacks from the Ottomans and contain a self-sustaining community of merchants and residents. But like many planned communities of today, it was boring and devoid of character, and no one was interested in living there. The Italian government was eventually forced to offer free land and building materials in Palmanova to convicts who would agree to live there. To this day, the planned community remains a soulless place with no real life…but the magnificent architecture continues to impress. 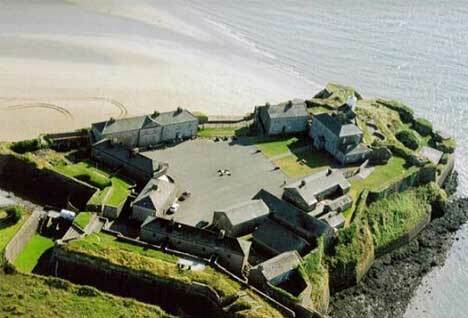 If you saw the 2002 remake of “The Count of Monte Cristo,” you might recognize Duncannon Fort from the opening scenes. 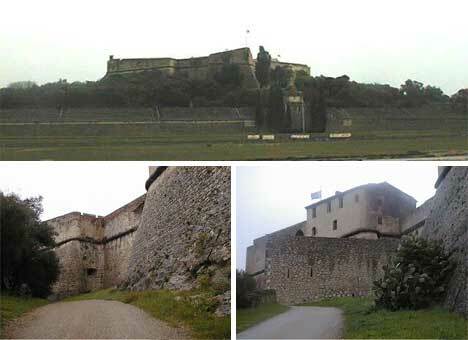 The lovely star-shaped fort was built in 1588 in preparation for an attack by the Spanish Armada. Today it offers unparalleled waterfront views, an impressive maritime museum and one of the oldest standing lighthouses in Ireland. 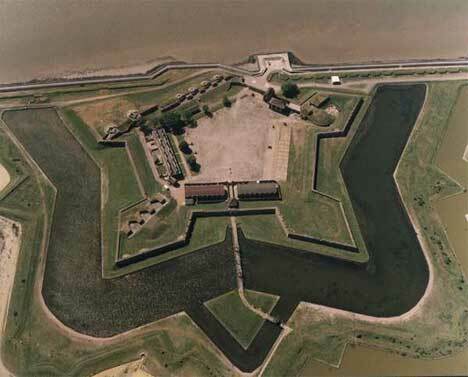 One of the most visually striking star-shaped forts is Tilbury Fort in Essex, along the River Thames. It was built to defend London from sea-based attacks and performed admirably for centuries. The current star-shaped structure was designed by Dutch engineer Sir Bernard de Gromme, though many Victorian-era additions and repairs are part of the overall structure that visitors see today. Antibes has been at the center of many heated military conflicts over the centuries, thanks to its prime location. In the 16th century a fort was built to protect the town, and it eventually evolved into Fort Carré, a beautiful example of a star-shaped fort. Today, the fort still stands strong, along with ancient chapel that the original fort was built around, and the area remains a popular tourist destination. 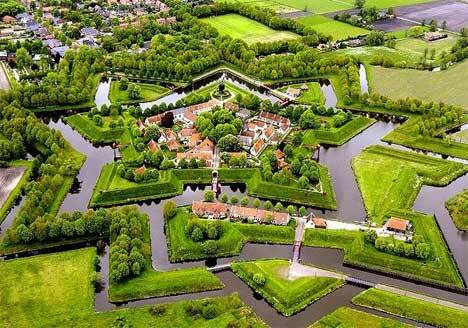 The beautiful star fort in Naarden, Netherlands stands as a wonderful example of the style. 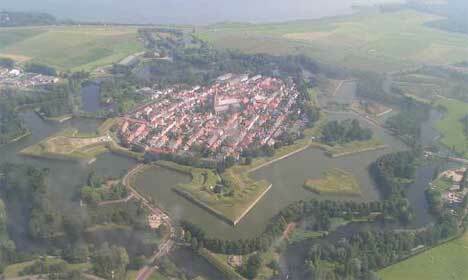 The ancient town was once the capital of Holland, and in the course of several wars was destroyed and rebuilt. 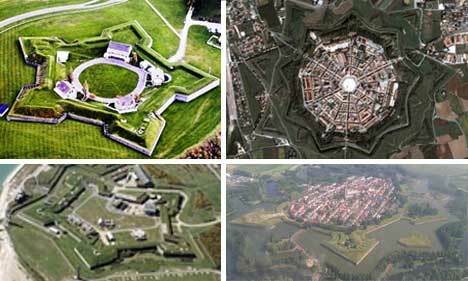 The five-pointed star shaped fort has been restored to its magnificent best, and today remains Europe’s only standing fortification with double walls and double moats. 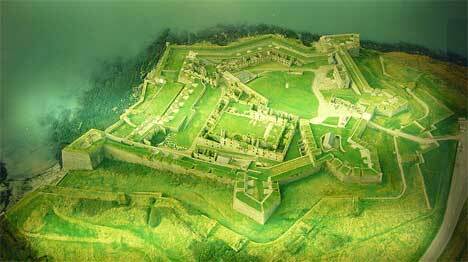 The original Fort Ontario was a stronghold of the British army during the French and Indian War. It was a complement to the nearby Fort Oswego and meant to protect the Lake Ontario region. The fort was destroyed and rebuilt three times in its history, and it has the distinction of having housed America’s only government-sponsored Jewish refugees during World War 2. The fort was recently threatened by a lack of funding, but lovers of the historic site banded together to raise money to keep the museum open. 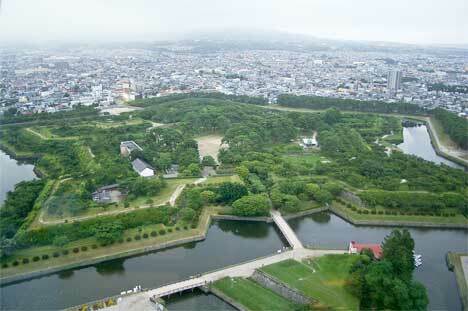 On the island of Hokkaido sits Goryokaku, one of the few reminders of the short-lived Republic of Ezo. 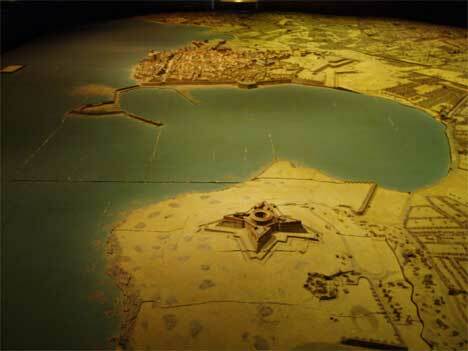 The five-pointed star fort was the site of the last battle in the Boshin War in 1868. Today is a large public park popular with locals for watching cherry blossoms bloom each Spring. The star-shaped outer walls remain intact, though, offering a unique aerial view of the park. Built in 1697 along the Rhine, Neuf Brisach was built to replace the demolished town of Villa Nueve. The planned community was laid out in a grid formation that’s relatively unusual in Europe; after the siege of 1870 many of the buildings were restored to their original condition.